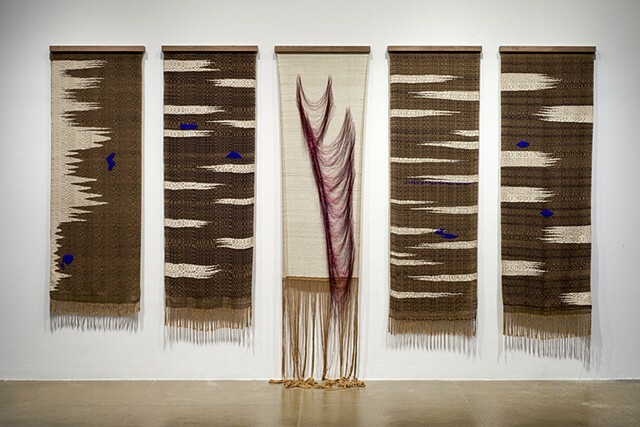 handwoven tapestries; natural white and natural brown cotton yarn, dyed black cotton, japanese blue silk, and red gimp metallic yarn on walnut hangars. Originally commissioned and produced by Artpace San Antonio. Photo credit Charlie Kitchen.